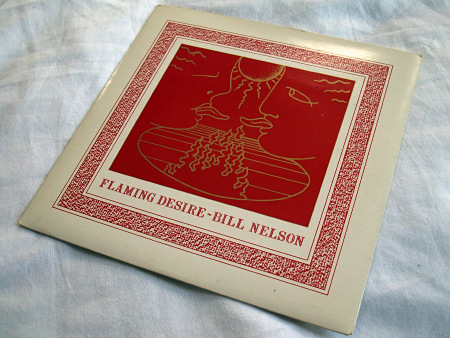 A highlight track on what is already far and away one of Bill Nelson’s finest albums, ‘Flaming Desire’ tapped into the spirit of the times with a largely synthesized vibe, propelled by snappy, high voltage electronic percussion and rhythm box work and showcasing Nelson’s e-bow skills to fashion the guitar nearer the keyboard driven shapes of the song. It wasn’t the hit single it should have been, sadly, but it did have a high profile courtesy of the black and white promo video produced to accompany it. I first came across that in 1983 on the BBC’s Monday night ‘Riverside’ arts programme, where Bill was interviewed by an up and coming Mariella Frostrup. 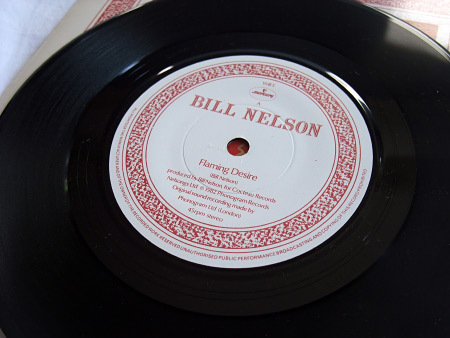 The UK 7″ followed the version of the song as featured on the ‘Love That Whirls (Diary Of A Thinking Heart)’ album, at the 4’55” approx. mark. The 12″ version benefitted from a longer take on the song, at 6’22” approx – this gave even more space for the e-bow trickery to spread out and take its time across the latter half of the track. 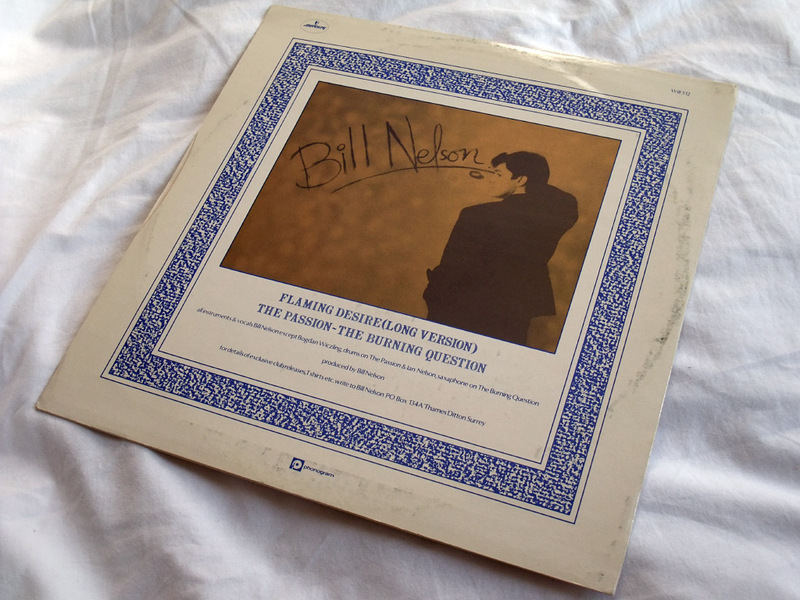 Perhaps because it never did become a ‘hit’, though certainly well enough known to merit it, it has only occasionally been featured on various artist compilation albums and in particular, the 12″ Long Version could so easily have been a prime contender on any one of the many ‘12″ 80s’ genre collections that all too often go for the obvious choices (or worse still feature supposed 12″ mixes no different from the normal takes). But the Long Version remains only available on vinyl for now – the UK 12″ release (Mercury WILL512), the US ‘Flaming Desire and Other Passions’ mini album (PVC PVC5901) and also the Canadian edition (Passport Records PL 3004). Equally missing in action from a digital re-release is the shorter edit of the song, which snuck out mainly on promo releases and a Canadian 7″ single. This trimmed the track down to a far briefer 3’26” mark. 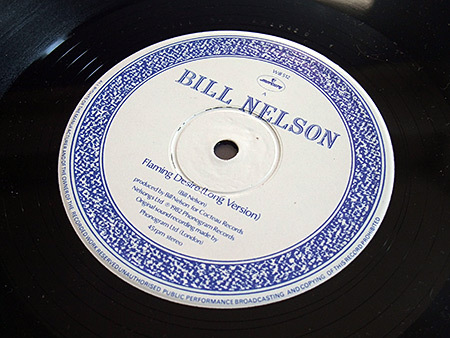 In the UK it appeared on a promo-only single (Mercury WILL D 5), while the US territories saw it as the lead track on the ‘A Half Nelson’ promo 12″ EP (PVC EP1). 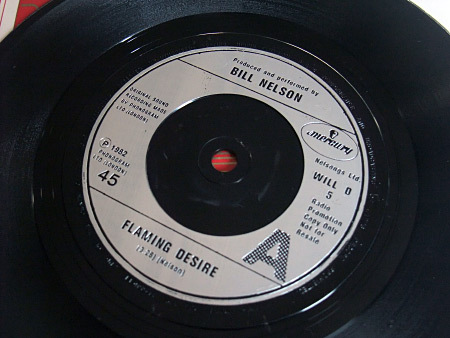 The one place the edit version does seem to have received a commercial release appears to be Canada, where a 7″ of Flaming Desire and Hope For The Heartbeat was released on Passport Records ‎(PS 504) – I have yet to come across this release. As well as the superb A side, the B sides kept the quality high too. 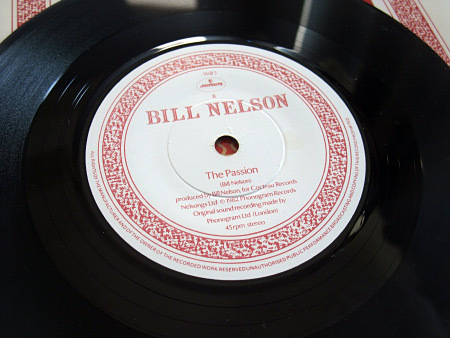 The UK 7″ features the instrumental ‘The Passion’, channeling something of a futuristic Spaghetti Western to its atmosphere. The UK 12″ edition added ‘The Burning Question’ on side two. 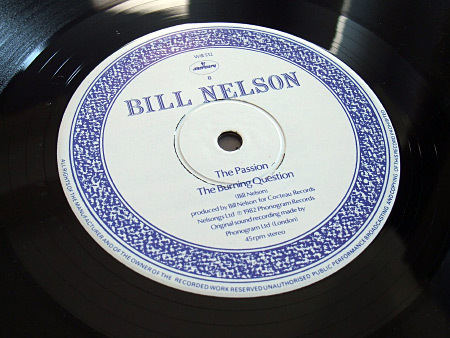 This is a long, synth-driven track with an air of the mysterious – built on a similar Roland rhythm box backbeat a la Flaming Desire but coloured with marimba and saxophone in addition to the synth and e-bow guitar textures, Nelson’s familiar vocal stylings atop it all. Both B sides would have fitted in well on the parent album and it comes as a surprise now taking stock and looking back to realise how infrequently this track has appeared on CD. There was no room at the inn on the 2005 UK Mercury records re-release of ‘The Love That Whirls’ for it it, sadly. It can be tracked down on the US and UK CD releases of the ‘The Two-Fold Aspect Of Everything’ compilation, but neither of these are easy to come by. Really, ‘The Love That Whirls (Diary Of A Thinking Heart)’ is crying out for double CD re-issue that goes beyond what 2005’s edition offered. 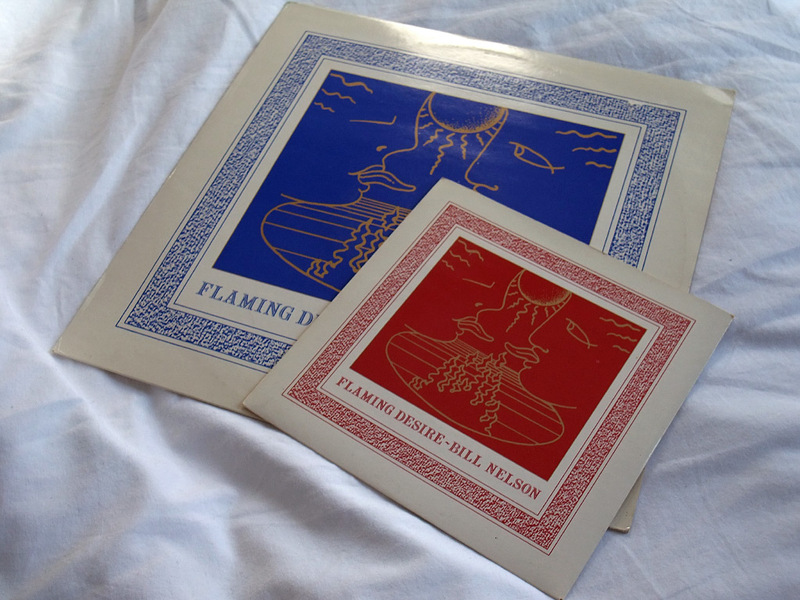 As we have seen here, there is scope to add the Long Version and promo 7″ edit of ‘Flaming Desire’, ‘The Burning Question’ and also the 7″ re-recording of ‘Eros Arriving’. On the latter, a recent compilation CD, ‘Videosyncratic (A Taste Of Synth Pop)’ (Own Label/UMC 0600753855010) on the Sainsbury’s supermarket own label, has a good selection of tracks, compiled by Bob Stanley. It purports to include the 7″ version, but, on the CD version at least, it turns out to be the regular LP mix. Once again, to find the 7′ re-recording on CD format it is back to hunting down scarce CD copies of ‘The Two-fold Aspect Of Everything’. In fact, the history of ‘The Love That Whirls (Diary Of A Thinking Heart)’ on CD has been a rather complicated story and one which deserves its own article to unpick, but that’s for another time. This entry was posted on Monday, January 28th, 2019 at 5:00 pm	and is filed under Versions, versions. You can follow any responses to this entry through the RSS 2.0 feed. You can skip to the end and leave a response. Pinging is currently not allowed. Nothing but love for “Flaming Desire” and its two stellar B-sides. 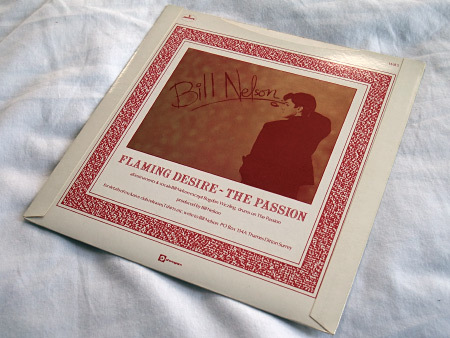 I always thought that “The Passion” sort of had a Ennio Morricone meets early Duran feel. I could listen to that all day long. 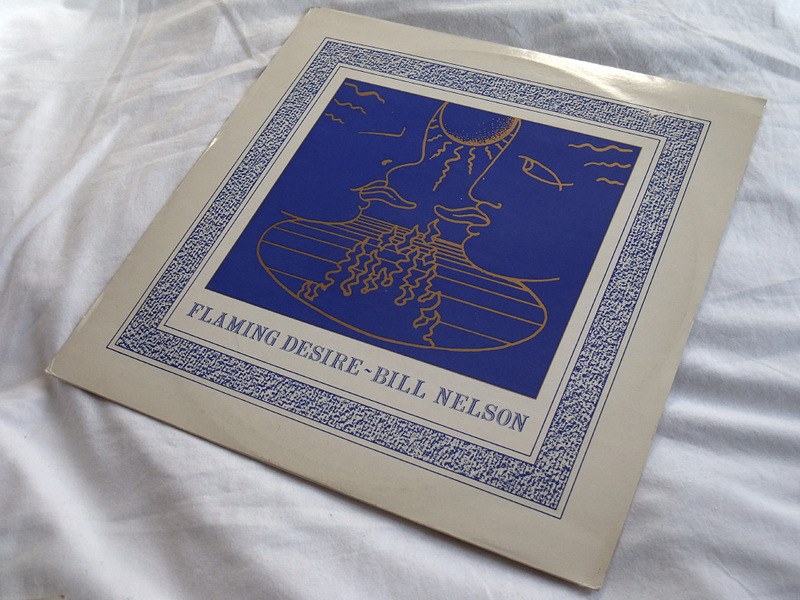 Like you, I’m bummed that I can’ t hear the expansive 12″ of “:Flaming Desire” on the preferred silver disc. 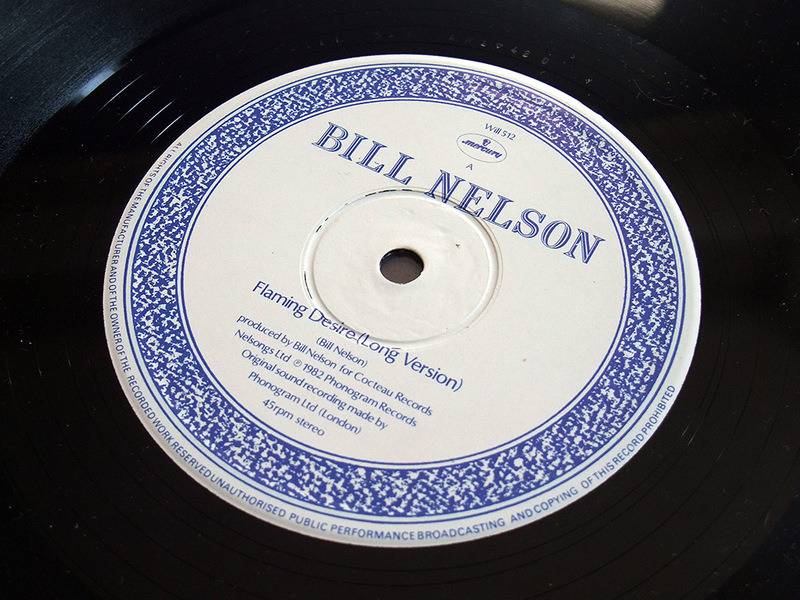 Can’t say I knew about the Canadian edit of the song, though I was cognizant of the “Half-Nelson” USP EP. Interesting to see that it popped up there. I have a Rhino “Just Can’t Get Enough” New Wave comp with “Flaming Desire” on it. It’s really good and diverse, but it’s only the 7″ version. https://www.discogs.com/Various-Just-Cant-Get-Enough-New-Wave-Hits-Of-The-80s-Vol-7/release/466271. I looked and there’s a comp with “Empire of The Senses” [!] on it called “Wave Goodbye To The 80s” that came out in 1995! Incredible! Compilation CDs of an obscure nature often seem to throw up oddities – there are a few that have some single versions of Japan tracks crying out to be gathered up on a proper 2xCD remaster of Gentlemen Take Polaroid’s for example – didn’t know about the Empire of the Senses appearance!